Burton-Katzman in Bingham Farms, which invests, develops, and manages industrial, commercial, and residential properties across the country, has announced it has site-plan approval for 66 acres of land within an existing business park along I-94 in Chesterfield Township. The property can accommodate almost 1.2 million square feet of space. Along with a sister company, Dominion Real Estate Advisors, the companies say available parcels start at 50,000 square feet and go up to 758,000 square feet for permitted uses that include distribution, industrial, and light manufacturing operations. An Amazon distribution center is nearby, while Ashley Capital, a multi-faceted real estate firm, has sold neighboring parcels in the Chesterfield Commerce Center. The Burton-Katzman property is available in three separate parcels — up to 177,920 square feet on 10 acres; up to 215,000 square feet on 16 acres; and up to 758,000 square feet on 41 acres. The Chesterfield Commerce Center is located on the south side of I-94, between 23 Mile and 24 Mile roads. Construction is scheduled to start in the fall. According to a January report by Newmark Knight Frank, a full-service real estate firm with offices in Farmington Hills, the region’s industrial vacancy rate was around 3.3 percent during the fourth quarter of 2018. Investments in electric and autonomous vehicles continue to spur construction and expansions in the market. In addition, Burton-Katzman and Dominion are close to completing a 110,000-square-foot industrial building in Auburn Hills, just north of the former Pontiac Silverdome site. The space is close to being fully leased. In Wixom, the companies have 85,000 square feet of industrial space along Beck Road on the market (north of I-96), and they recently completed work on industrial space for Tremec Corp., which manufactures automatic transmissions and drivetrain components. 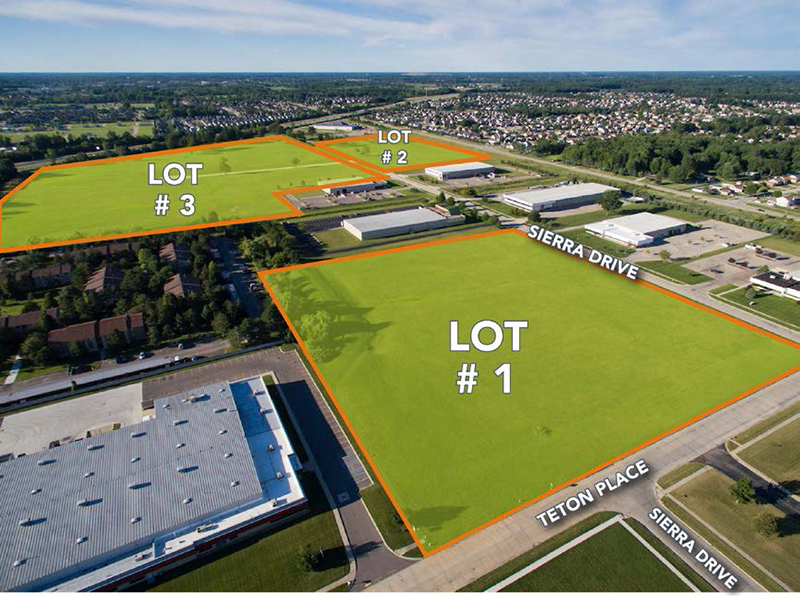 Burton Katzman also plans to offer a new industrial park in Lyon Township that would accommodate up to 505,000 square feet of space. For more information, contact Andrew Boncore, vice president of business development and brokerage at Dominion Real Estate Advisors, 248-399-9999 or aboncore@dominionra.com.